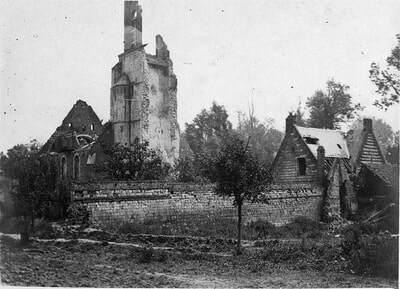 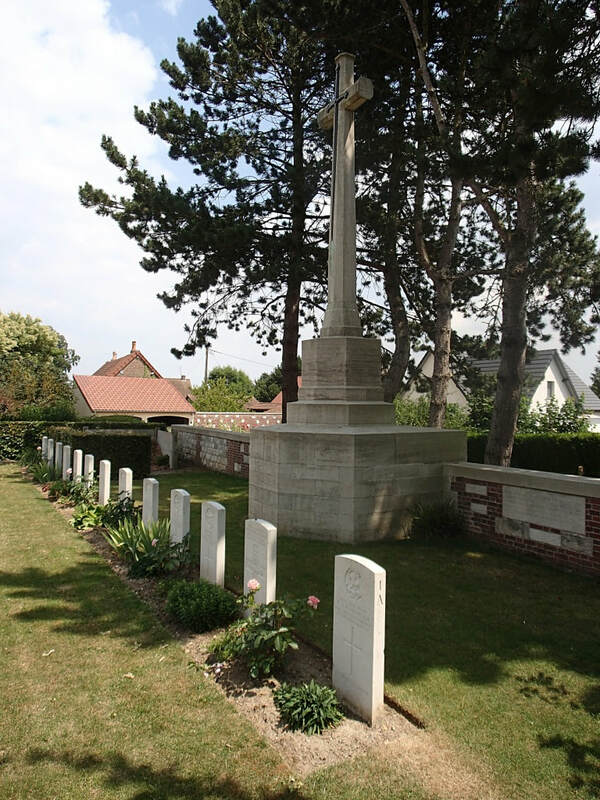 Wailly is a village in the Department of the Pas-de-Calais about 6 kilometres south-west from Arras. 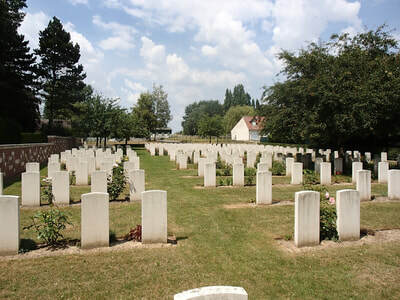 Wailly Orchard Cemetery stands above the village. 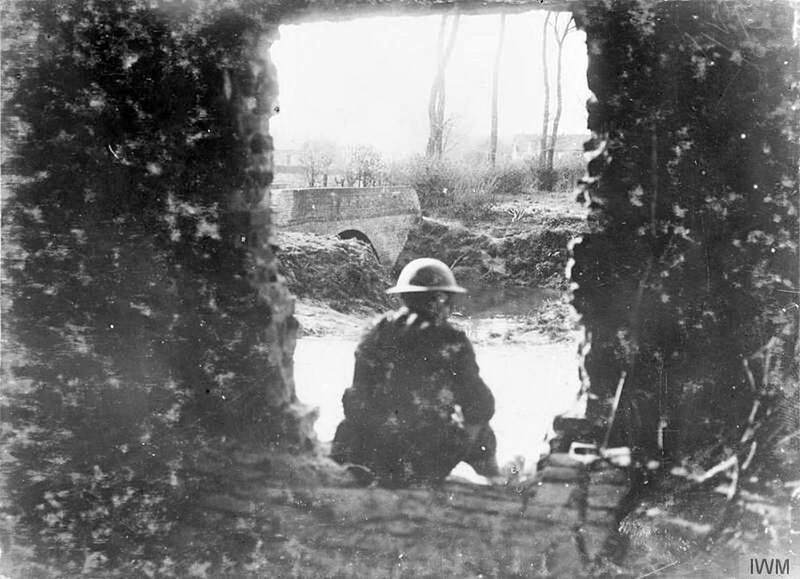 The cemetery was begun in May 1916 by the Liverpool battalions of the 55th (West Lancashire) Division, as a front line cemetery, screened from German observation by a high wall. 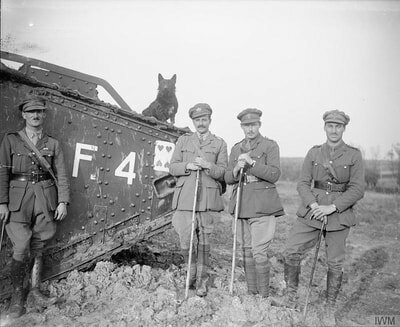 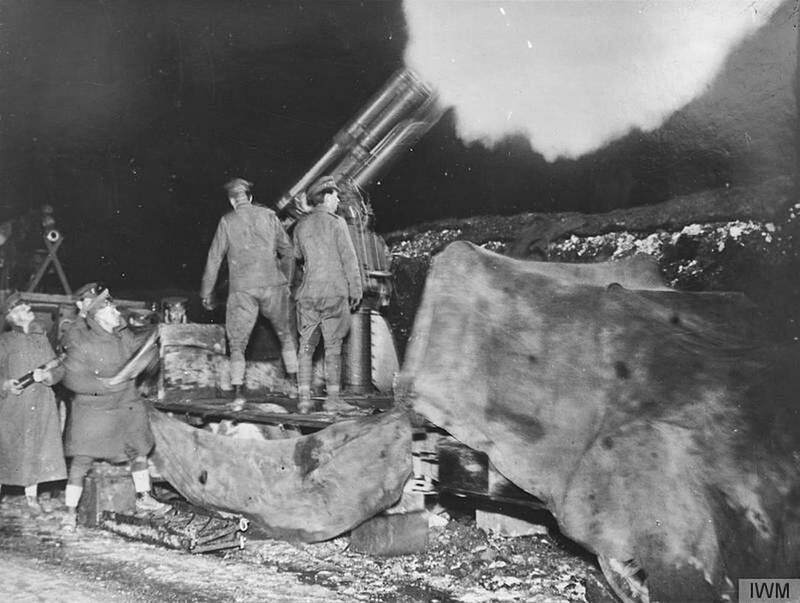 It was little used in 1917, but in March-August 1918, it was considerably enlarged by the Canadian and other units defending the Third Army front. 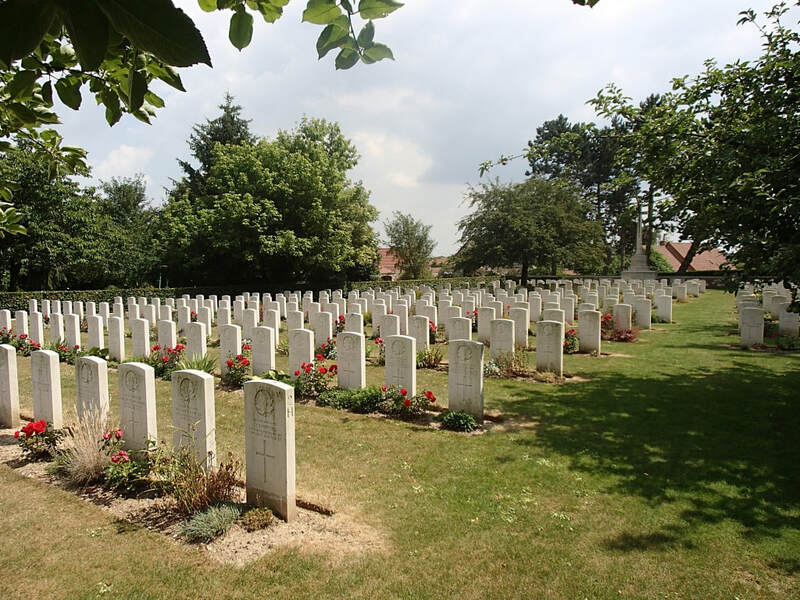 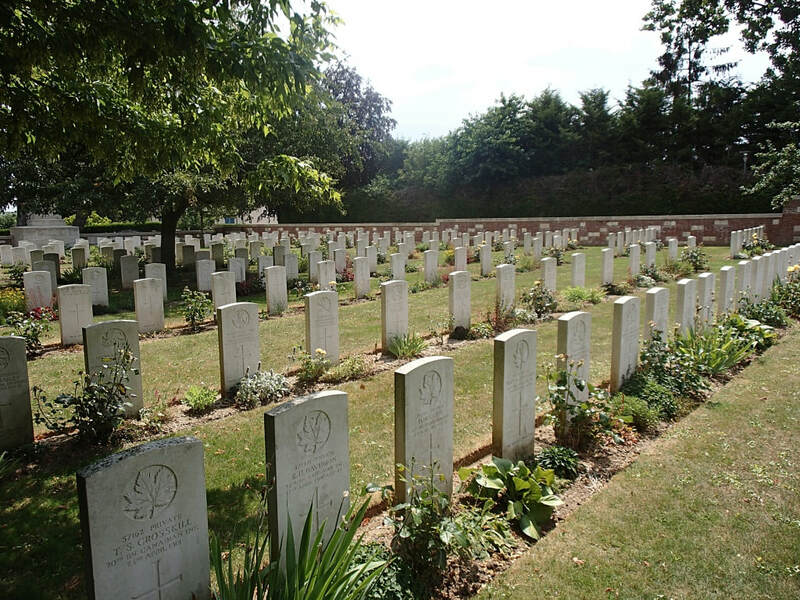 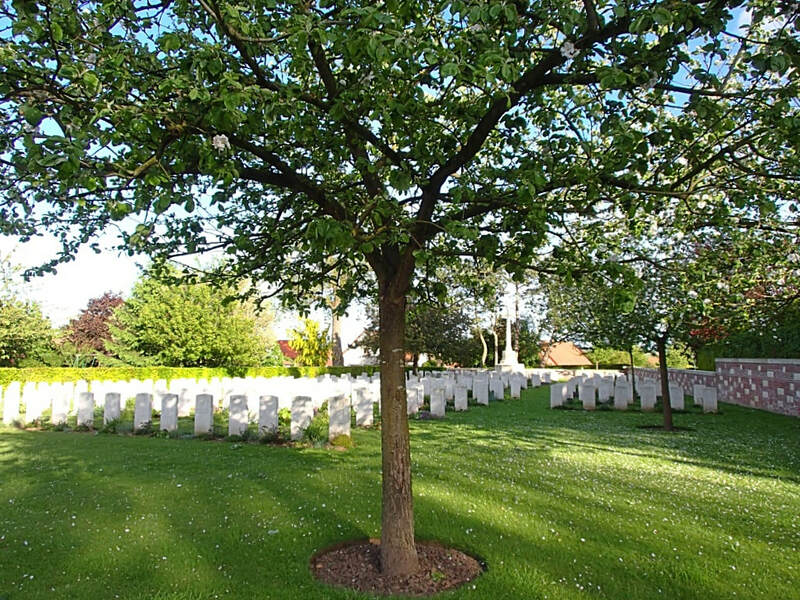 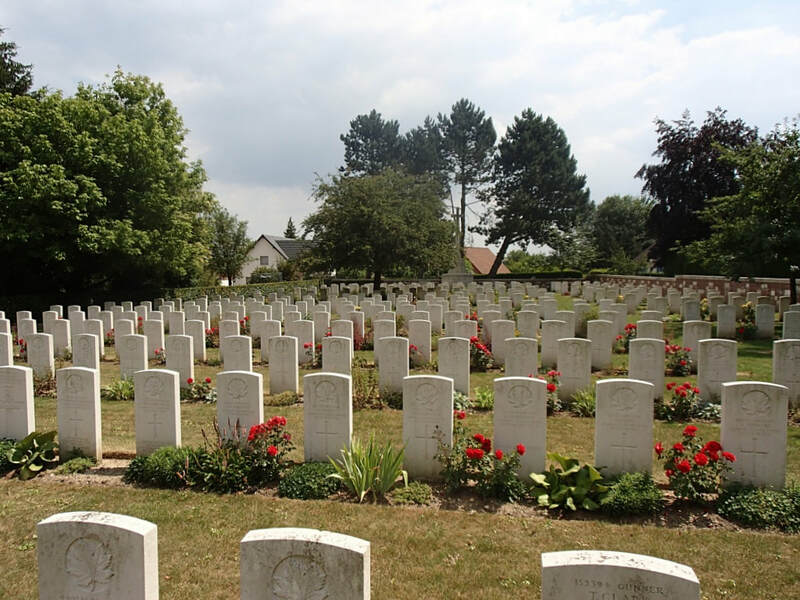 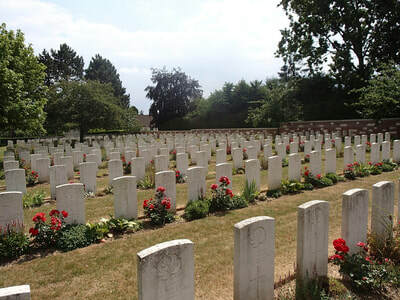 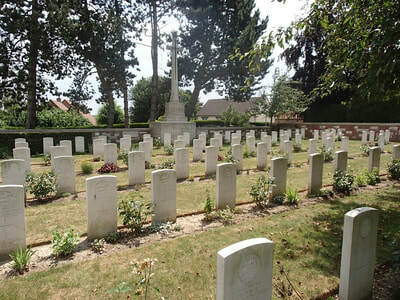 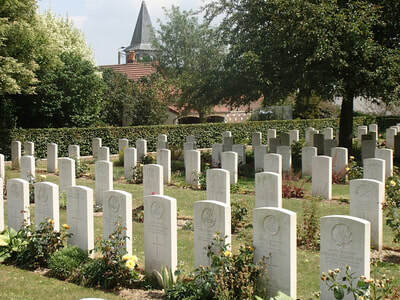 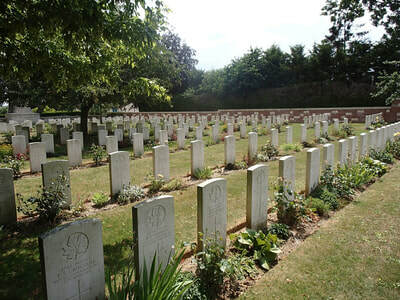 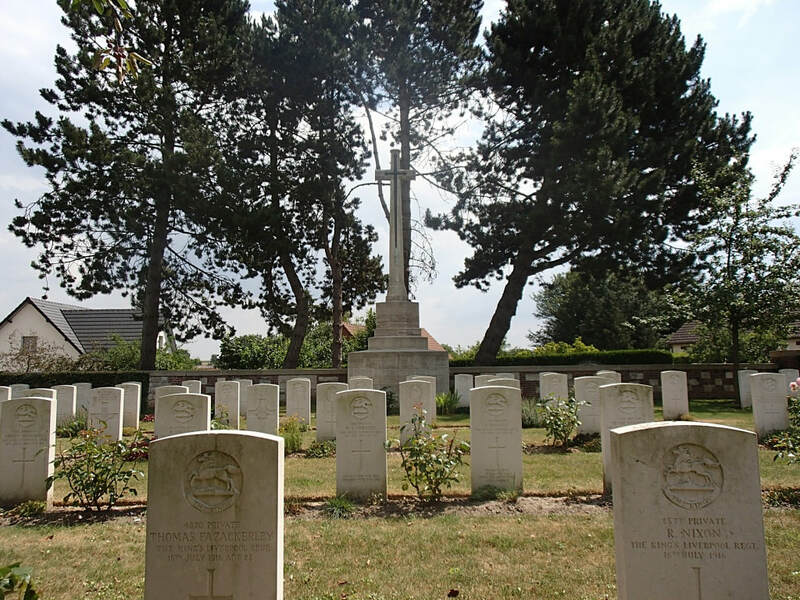 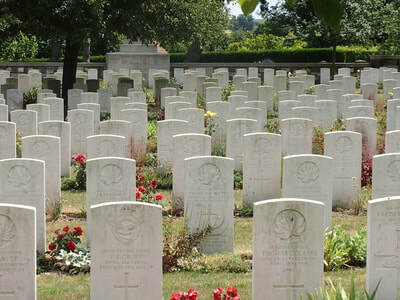 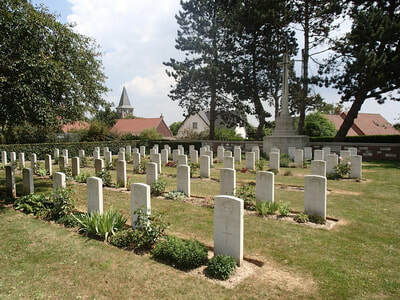 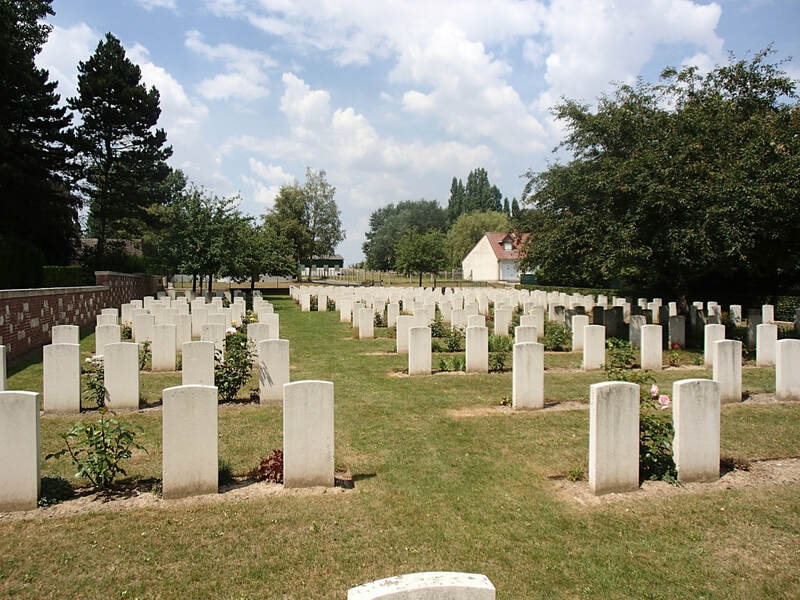 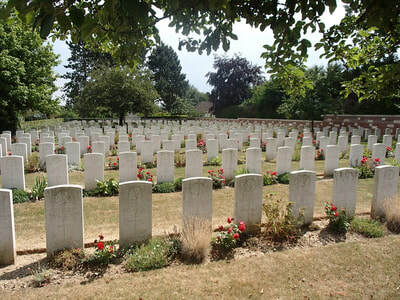 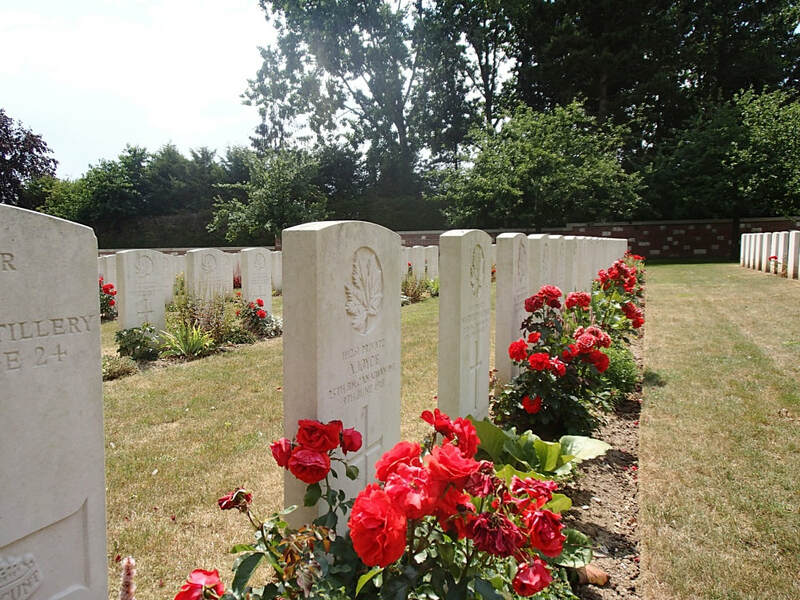 Wailly Orchard Cemetery contains 366 First World War burials, 15 of them unidentified. 10th June 1918, aged 21. 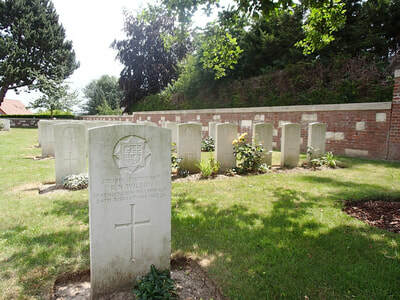 Son of George and Annie Allsop, of 209, Graham St., Woodstock, Ontario. 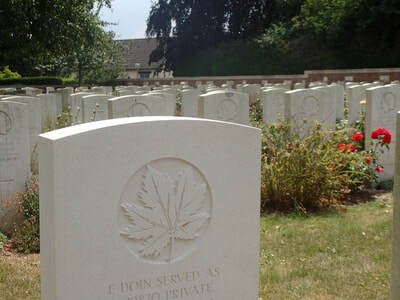 He was born May 31, 1897, Belper, Derby, EnglandMoved to Canada with his family in 1903.Lived in Woodstock Ontario, Canada with his brothers and sisters and parents Annie and George. 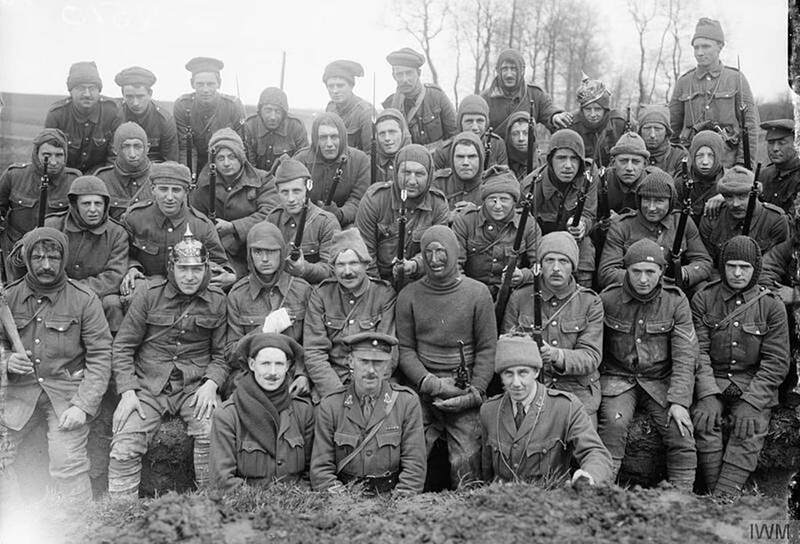 Enrolled at London Ontario, January 4, 1918. 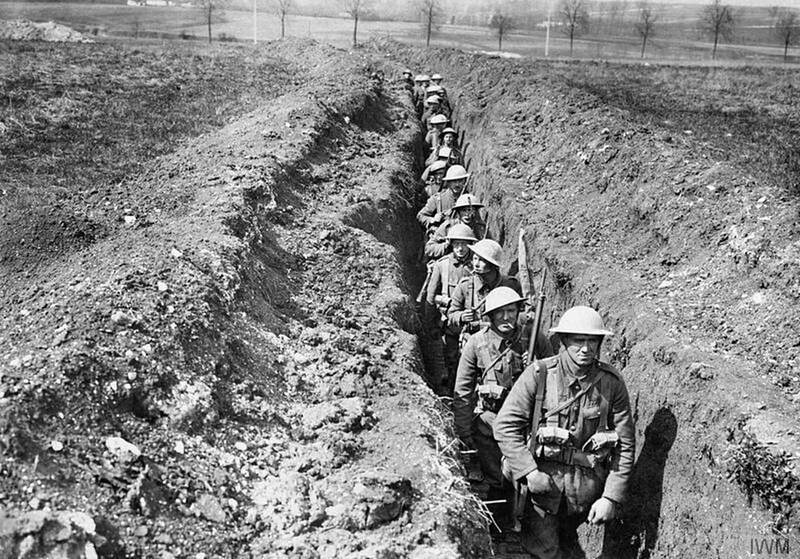 Embarked for Britain , February 4, 1918. 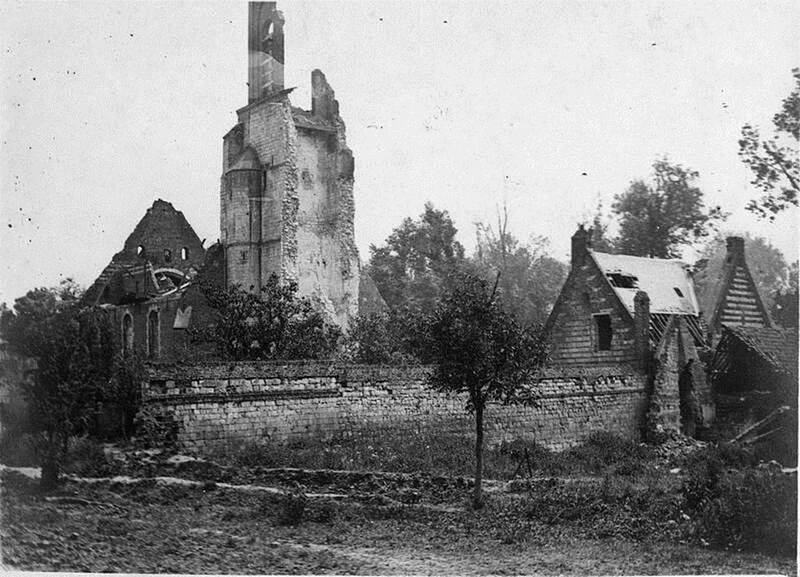 Proceeded to France, May 10, 1918. 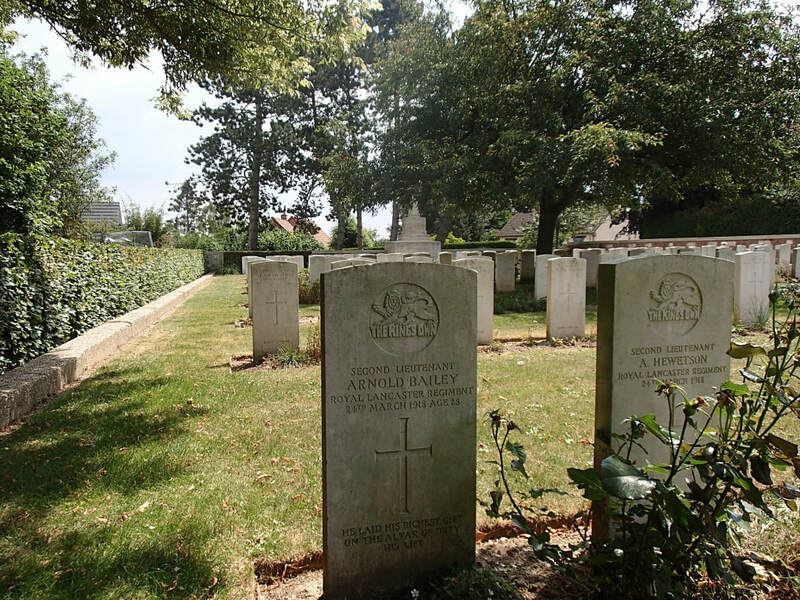 Killed in action, June 10, 1918 while with the 18th battalion fighting a holding action on a line between Arras and Albert. 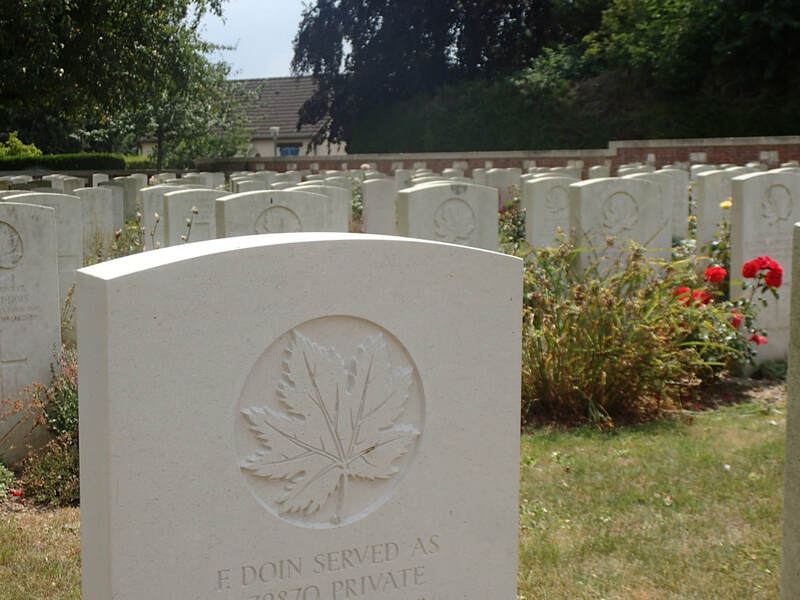 Picture courtesy of Paul J. Allsop, nephew of this soldier. 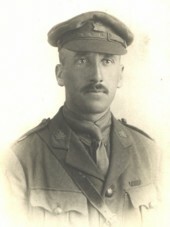 Herbert Norris, D. S. O. 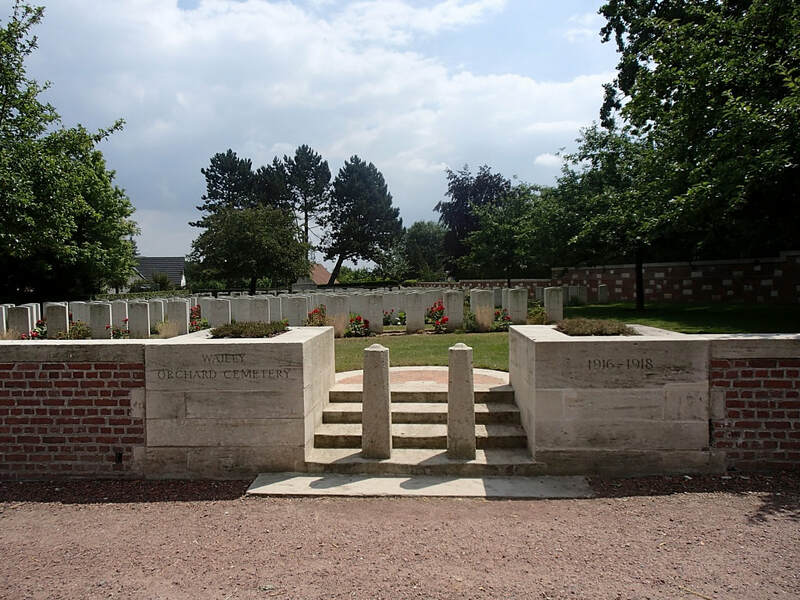 & M. I. D.
25th June 1918, aged 36. 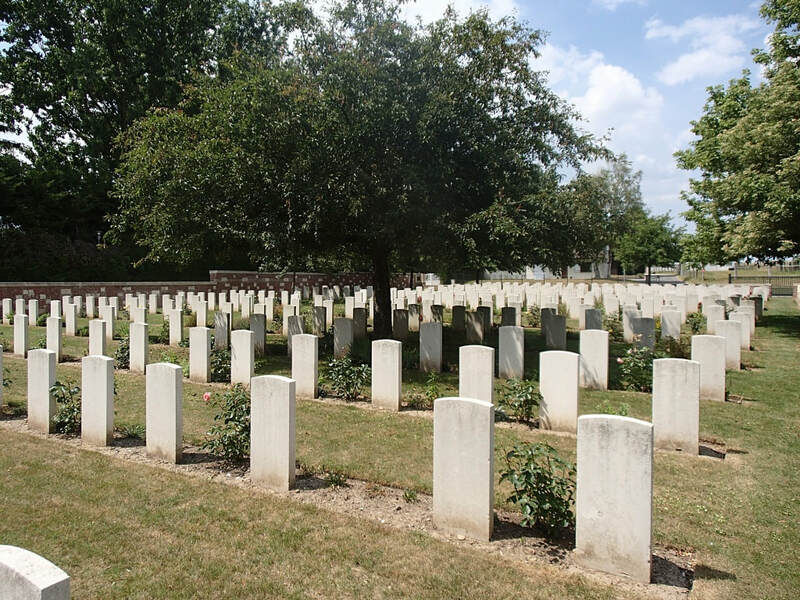 Born 2-12-1881 to Richard W. J. and Sophia Norris in Camberwell, London, he served with 2nd Battalion, The Queen's, in the South Africa War 1901-02 and emigrated to Toronto, Canada about 1905. 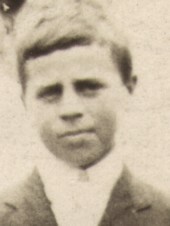 Married to Hilda Clements 1907. Enlisted 16-November 1914. 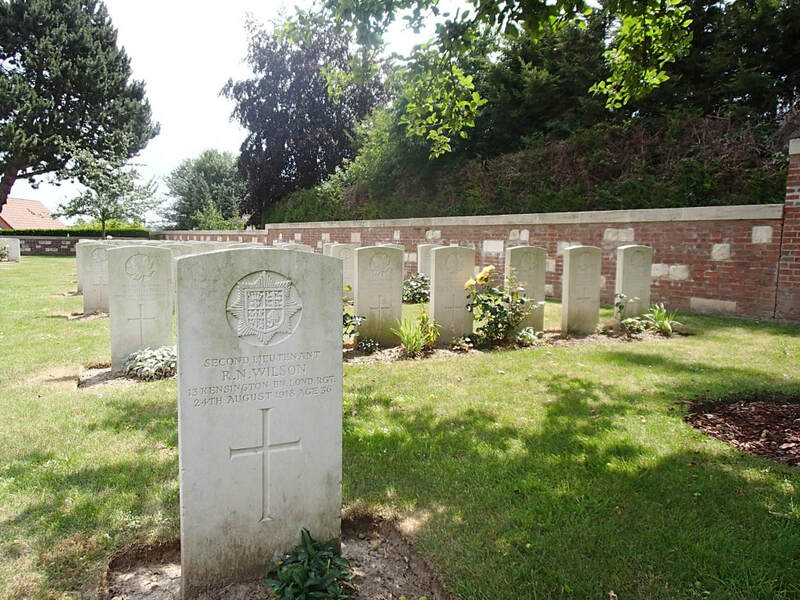 Wounded St. Eloi April 1916, he was awarded the D.S.O. 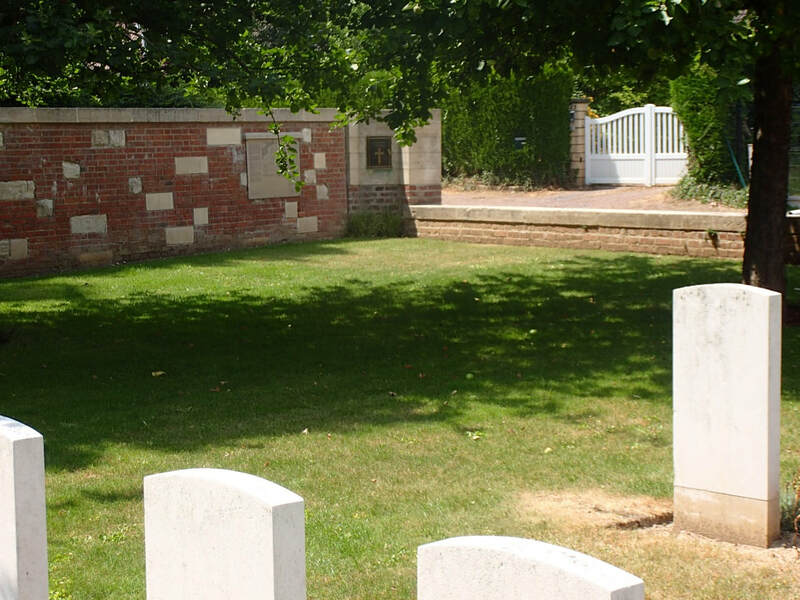 for gallantry at Courcelette September 1916. 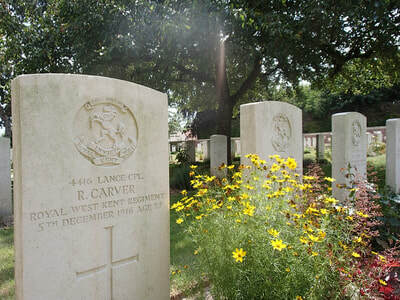 Mentioned twice in dispatches. 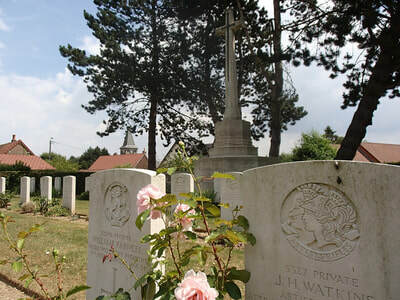 Killed in action 25 June 1918.